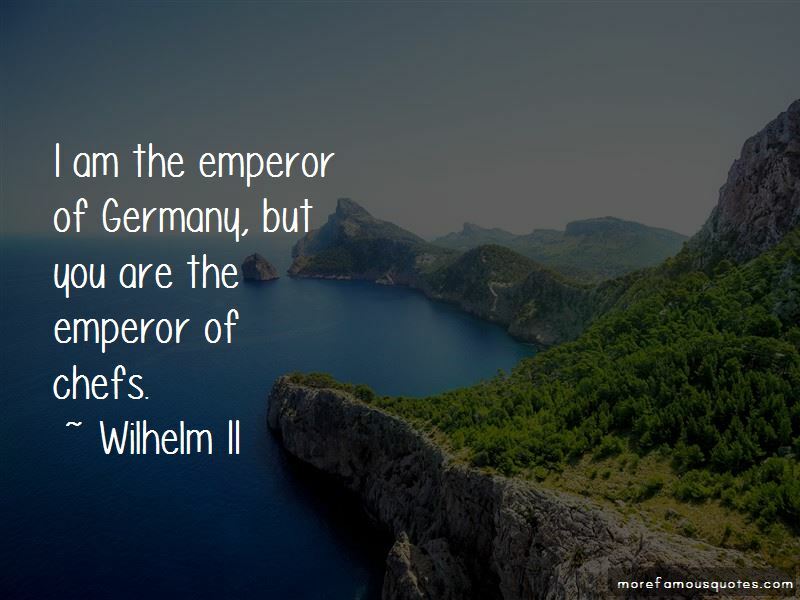 Enjoy the top 20 famous quotes, sayings and quotations by Wilhelm II. I am the emperor of Germany, but you are the emperor of chefs. 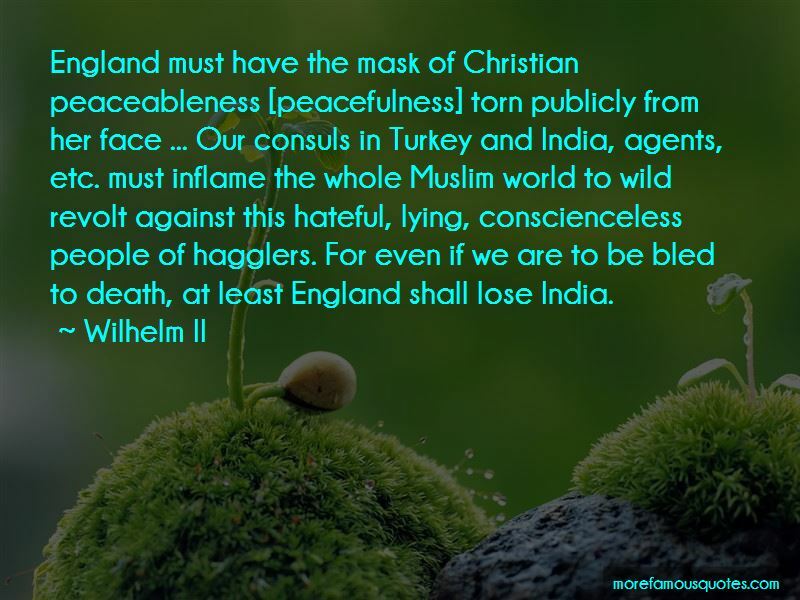 England must have the mask of Christian peaceableness [peacefulness] torn publicly from her face ... Our consuls in Turkey and India, agents, etc. must inflame the whole Muslim world to wild revolt against this hateful, lying, conscienceless people of hagglers. For even if we are to be bled to death, at least England shall lose India. 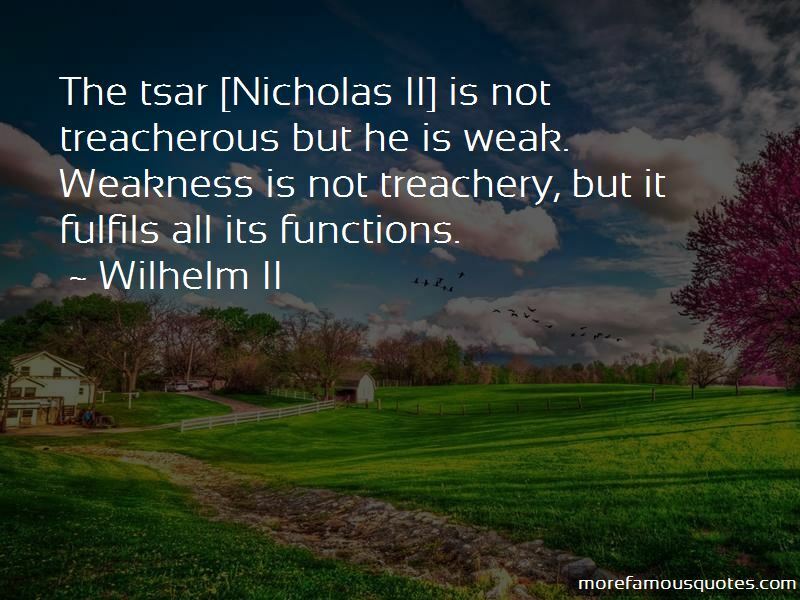 Want to see more pictures of Wilhelm II quotes? 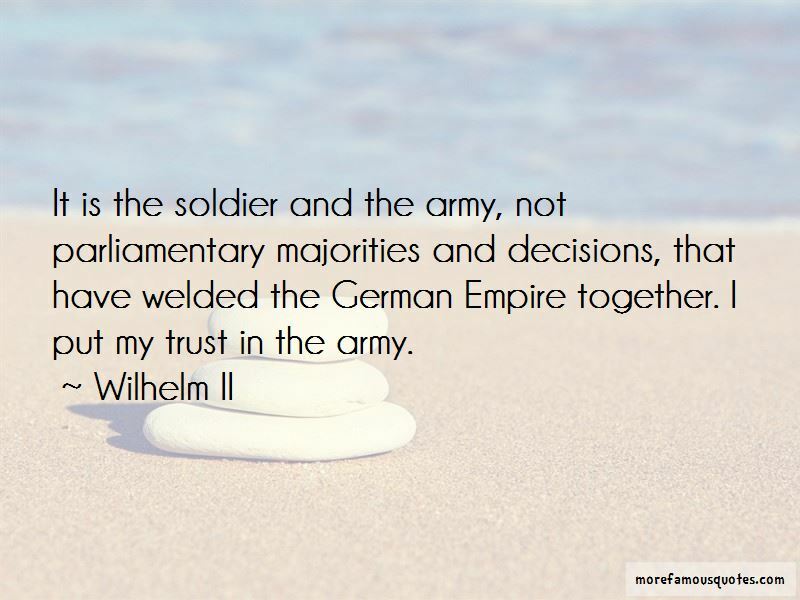 Click on image of Wilhelm II quotes to view full size.